Bella Vita Gourmet Olive Oil & Balsamics invites you to come into our store for a unique tasting experience of the freshest ultra premium Extra Virgin Olive Oils and flavored oils from around the world. We also have the best traditional aged balsamic vinegars from Modena, Italy along with many flavored balsamic vinegars. We also carry some fun and unique kitchen accessories and gifts. If you use this site, you are responsible for maintaining the confidentiality of your account and password and for restricting access to your computer, and you agree to accept responsibility for all activities that occur under your account or password. If you are under 18, you may use our website only with involvement of a parent or guardian. Bella Vita Gourmet Olive Oil & Balsamics and its associates reserve the right to refuse service, terminate accounts, remove or edit content, or cancel orders in their sole discretion. All sales are final on food products, Olive Oil and Balsamics. Undamaged returns must be in original, unused condition and packaged in its original packaging. Undamaged returns will have a 20% restocking fee of the total sale. You will receive a refund on your credit card when your merchandise is received. Damaged Items will be replaced at no charge if shipped by Bella Vita Gourmet Olive Oil & Balsamics. Please repack damaged items in the original packaging. Once we receive the returned merchandise we will send you a replacement or refund. 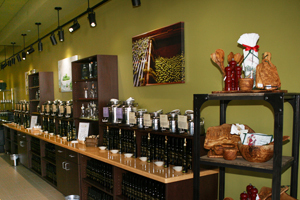 Bella Vita Gourmet Olive Oil is located on Cooper St. just south of Bardin Rd.